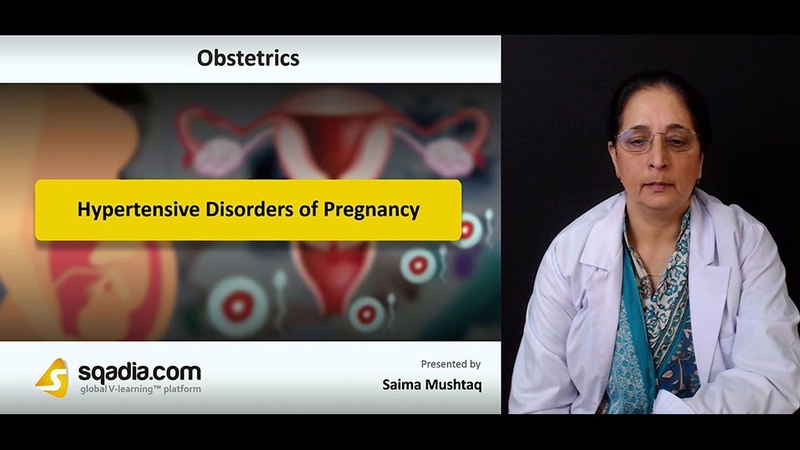 This lecture is devoted towards the explanation of Hypertensive Disorders of Pregnancy. Section one aims at discussing about the Classification of these disorders. The educator starts off by talking about Hypertension and Pregnancy. This is followed by a review on the Classification of Multiple Pregnancy. Subsequently, the educator has spoken about various classes of Multiple Pregnancy including Non-proteinuric Pregnancy Induced Hypertension. Towards the end, of this section, the educator has concluded by talking about various Degrees of Hypertension. The prime focus of section two is Pre-eclampsia. 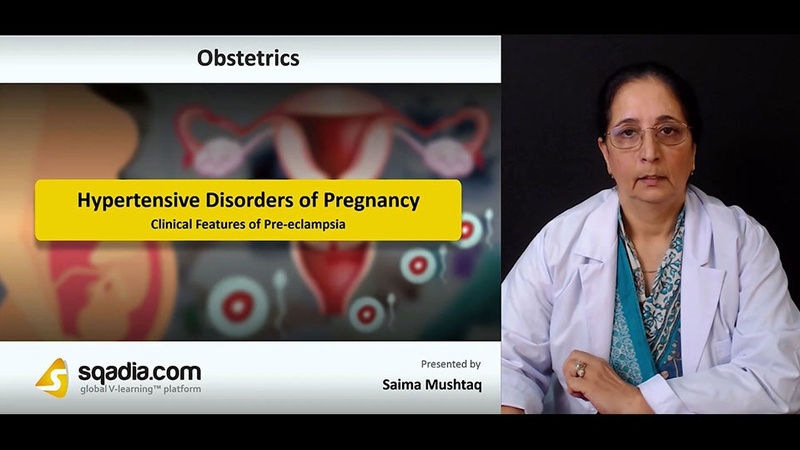 In the beginning, the educator has given an overview of what the term Pre-eclampsia means. This is followed by a discussion on the epidemiology of this condition under a separate head i.e. Incidence. Furthermore, the educator has shed light on a range of Risk Factors involved. In addition to this, the Pathophysiology has also been considered. Moreover, the educator has brought into consideration a few human systems which includes: Cardiovascular System, Renal System and the Haematological System. Moving further, the Liver - HELLP Syndrome has been presented as well. In the end, the curtains have been brought down when the educator talks about the Neurological System. Section three emphasizes on the Clinical Features of Pre-eclampsia. 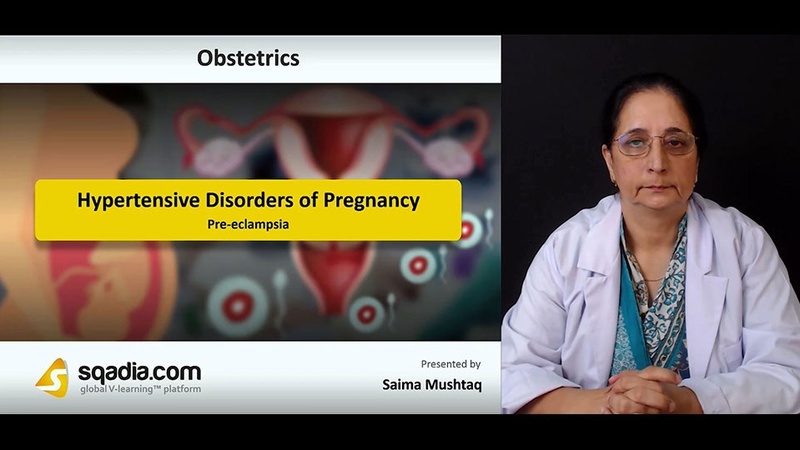 Firstly, the educator has spoken about the Clinical Presentation of Pre-eclampsia followed by a description of Clinical Examination. Afterwards, Testing for Proteinuria and Principles of Management of Pre-eclampsia have been communicated. Moreover, Investigations have also been explained extensively. This is succeeded by an elaborate discussion on the Management of Pregnancy Complicated by Pre-eclampsia. Besides this, Treatment of Hypertension and Treatment of Eclampsia has been elucidated. Ultimately, the educator has wrapped up by mentioning about the Doppler Ultrasound Uterine Artery Waveform. Section four accommodates Chronic Hypertension. After defining Chronic Hypertension at the start, the educator moves on to comprehensively explain the Causes of this condition. Additionally, Maternal Risk Factors and Management has also been narrated. Towards the end, certain Risk Factors for Developing Superimposed Pre-eclampsia have been extensively reported. The focal point of section four is Fetal Growth Restriction. At the outset, the educator has defined what Fetal Growth Restriction is. In the second place, Clinical Features have been thoroughly explained. Moving further, disease Aetiology and Pathophysiology have been taken an account of. In addition to this, Pregnancies at Risk of FGR have been brought into debate. Ultimately, the educator has summed up by drawing attention towards the Management.